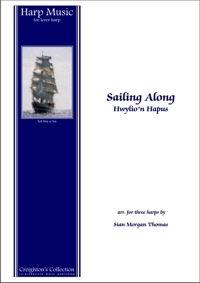 These three sea-songs - Cockles and Mussels, My bonnie lies over the ocean and Fflat Huw Puw, are entitled Sailing Along and are traditional tunes representing Ireland, Scotland, and Wales. 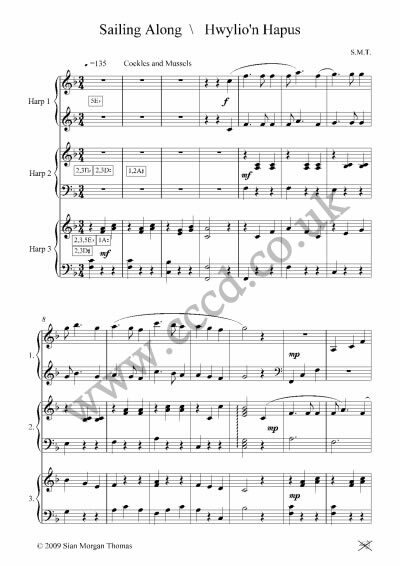 They can be played as a medley or as individual pieces. Lever harps 2 and 3 will need to tune the upper octaves A's in the natural position in order to create the right effects in the glissandi bars.